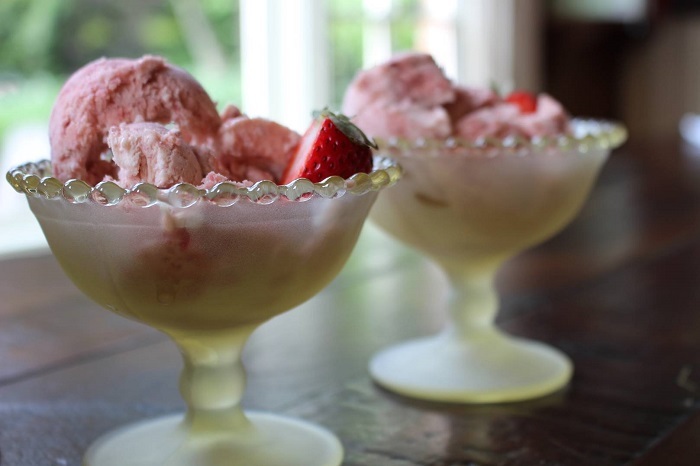 I can’t think of an easier way to make a frozen dessert that is ice cream-like, without the bother of digging out the ice cream machine. You can substitute other fruits for the strawberries; peaches and raspberries come to mind. 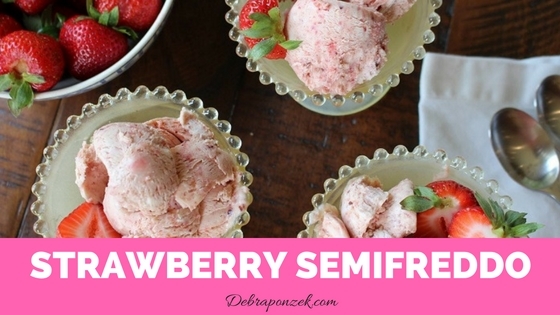 Once I make the strawberry semifreddo, I can’t keep it in the house. 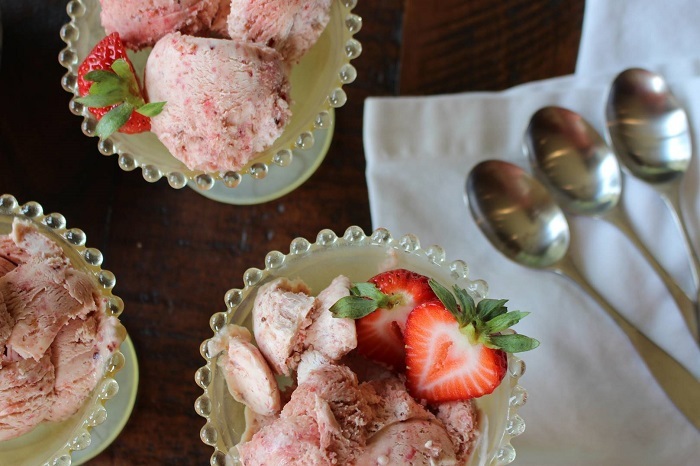 My kids are crazy for Strawberry Semifreddo and you will be too. Put a 10×5-inch stainless steel container in the freezer to chill. 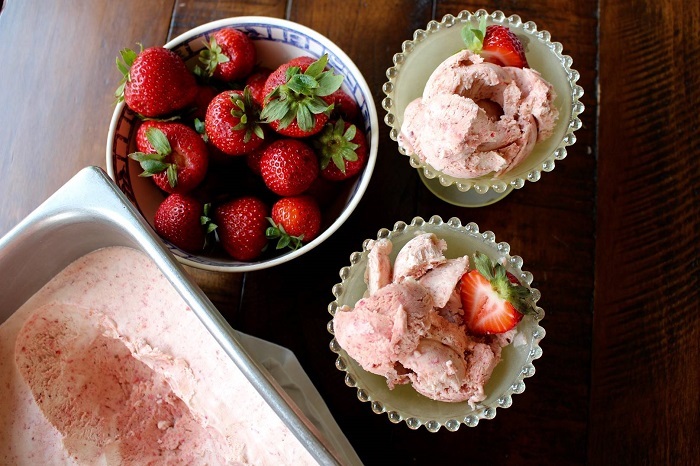 In the bowl of a food processor, process the strawberries until smooth. You will have about 2 cups. Whisk together the egg yolks, eggs, sugar, and vanilla in the top of a double boiler or heatproof bowl. Set over a saucepan of simmering water and whisk for 6 to 8 minutes or until the mixture thickens and turns pale. In the bowl of an electric mixer fitted with the whisk attachment, whip the cream until soft peaks form. Gently stir the berry puree into the slightly cooled egg mixture until well mixed. Fold in the whipped cream just to combine. Pour into the chilled container and freeze for at least 6 hours or overnight. 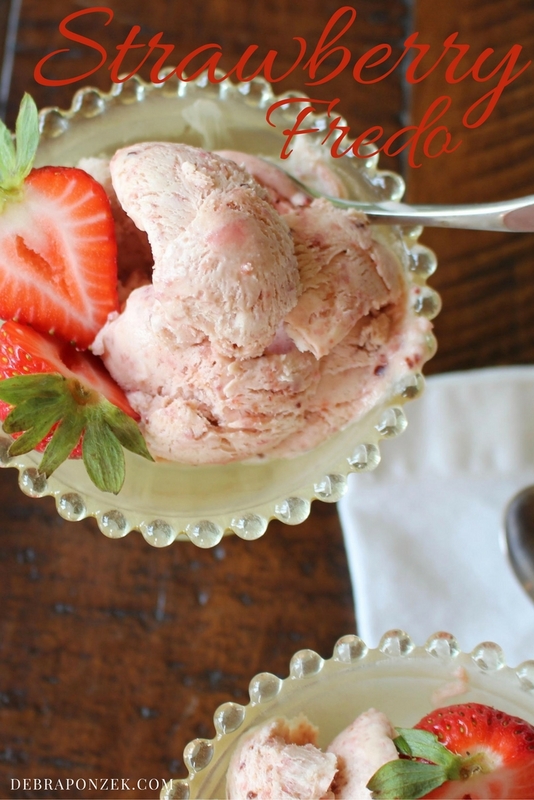 The strawberry semifreddo can easily be changed into a raspberry semifreddo or peach semifreddo. 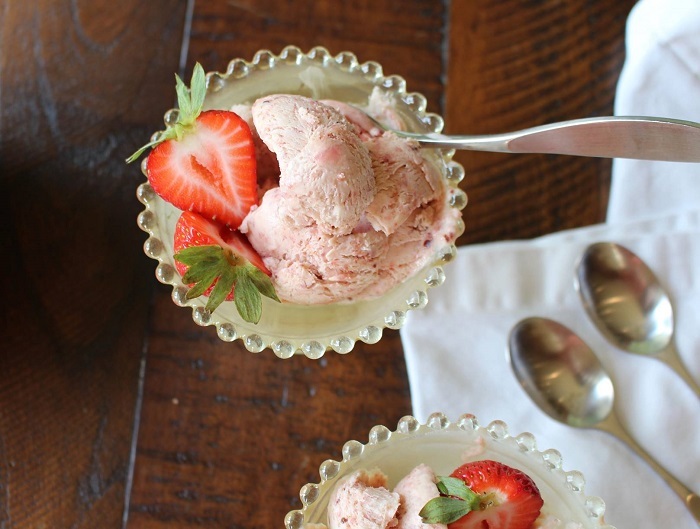 You can also serve this semifreddo up as a final dish after dinner or even lunch. 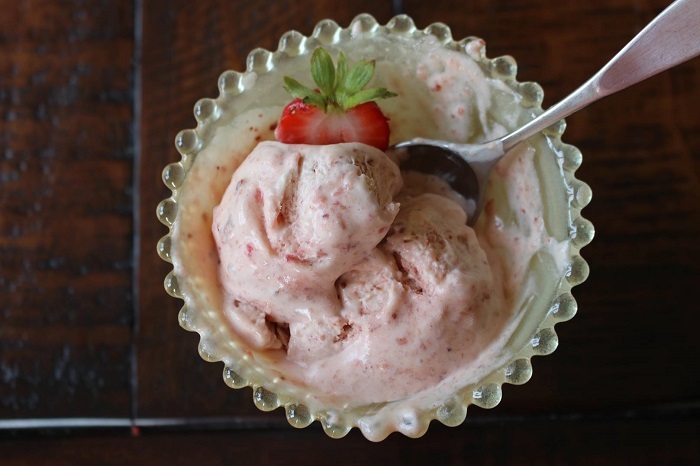 To find the best recipes to pair with this dessert, check out my Dinnertime Survival cookbook.